10. Your green beans are attempting a split flanking maneuver on your clearly surprised mashed potatoes. 9. Whenever Gallagher appears on TV, your watermelon leaps up, grabs the remote and shuts off the set. 7. You use the leftover chicken as a nightlight for your kid’s room. 5. An apple a day… cures leukemia. 4. Family of seven, one turkey — yet everyone gets a drumstick. A hardboiled egg will spin, a raw or soft boiled egg won’t. Apples are apart of the rose family. Bananas aren’t a fruit, they are a herb. Canola oil is actually rapeseed oil, but the name was changed for marketing reasons. Approximately 150 people per year are killed by coconuts. 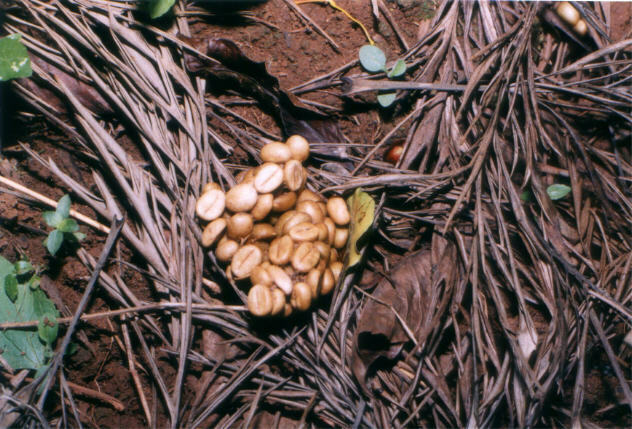 Coffee beans are fruit pits. A fully ripened cranberry can be dribbled like a basketball. Goat’s milk is more popular around the world than cow’s milk. Honey is used in antifreeze and in the middle of golf balls. Ketchup was sold in the 1930’s as medicine. Onions gave no taste, only smell. Rice is the main food for half of the world’s population. Americans ate 33% more spinach in 1931 when Popeye became popular. The average French person eats 500 snails per year. The average American or Canadian will eat almost 12 pounds of cereal per year. Young coconut water can be used as a substitute for blood plasma. Watermelons cost up to $100 in Japan. If you stick two forks in a pickle and add a charge, it will emit light. What do you think? Did you know these fun facts? Has any of these facts changed your mind about the foods you eat?! Rice is the staple food of more than one-half of the world’s population. Saffron, made from the dried stamens of cultivated crocus flowers, is the most expensive cooking spice. Since Hindus don’t eat beef, the MacDonald’s in New Delhi makes its burgers with mutton. The colour of a chilli is no indication of its spiciness, but size usually is – the smaller the pepper, the hotter it is. The difference between apple juice and apple cider is that the juice is pasteurized and the cider is not. The fungus called truffles are sniffed out from the ground by female pigs, which detect a compound that is in the saliva of male pigs as well. The same chemical is found in the sweat of human males. One variety, Tuber melanosporum, can cost between $800 and $1,500 a pound. The world’s deadliest mushroom is the Amanita phalloides, the death cap. The five different poisons contained by the mushroom cause diarrhea and vomiting within 6 to 12 hours of ingestion. This is followed by damage to the liver, kidneys, and central nervous system – and, in the majority of cases, coma and death. Research has shown that allowing chocolate to melt in your mouth produced brain and heart rate activity that was simliar to – and even stronger than – that produced with passionate kissing.